Although the American cowboy has long been a favorite subject for novelists, filmmakers, and illustrators, too often the picture they paint bears little relation to reality. Philip Ashton Rollins, who lived in the West on and off between 1892 and 1924, set out to create a more accurate portrait of this enduring icon. 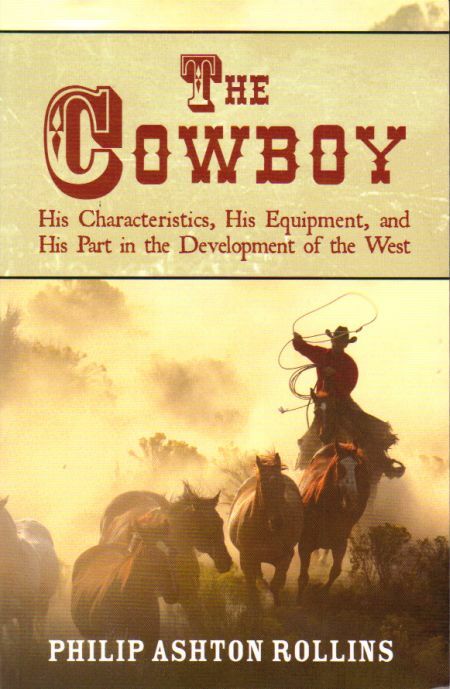 Based on what he himself witnessed, this fascinating study discusses what exactly makes a cowboy, as well as cowboy weaponry, clothing, saddles, and equipment; the "cowboy character;" and a cowboy's work. In addition, Rollins describes the history of ranching in the United States, the raising of horses and cattle, livestock rustling, and more. 2007 trade paperback. Very Good with minimal shelf-wear. Sound binding. mark-free. Ships from Washington State.